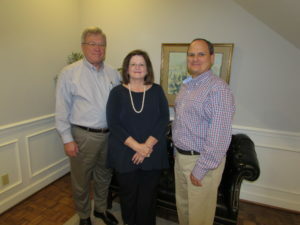 The Mobile Area Chamber named McFadden Engineering as the 2018 Innovator of the Year. OxyShark, a cost-effective wastewater treatment system has taken McFadden Engineering to the next level. “We wanted to develop a system that treated everything from domestic sewage to industrial strength wastewater in an efficient, reliable manner that was low in operation and maintenance costs,” said Frank McFadden, president and founder. Visit the Mobile Area Chamber’s latest issue Mobile Area Chamber Dec 2018- Jan2019.